HAWARDEN SUMMIT- Stunning ultra-custom single level residence exuding high quality construction and tastefully current finishes and decor! Dramatic foyer draws your eye inward to the spacious formal living room with soaring box beamed ceilings and expansive windows offering panoramic views of the backyard and city lights and mountains beyond. Large formal dining room; striking wet bar/butler&apos;s pantry; completely remodeled kitchen with custom cabinetry, white Carrara marble counter-tops, professional grade Wolf range/oven and venting hood, built-in refrigerator plus two additional refrigeration drawers and double drawer-style dishwashers. 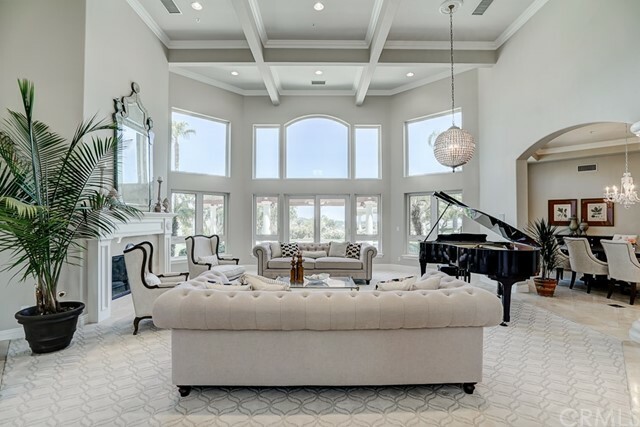 Large family room with built-in entertainment center and fireplace; additional billiard room and separate play room; secluded and luxurious master suite with sitting room and fireplace, remodeled bath and custom walk-in-closet. Each of the additional roomy bedrooms has an ensuite bath and ample closet space. Large indoor laundry and attached 4-car garage. The rear yard offers the ideal setting for outdoor entertaining with the classic rectangular play pool, outdoor barbecue cabana and expansive decks from which to relax and enjoy the views. The lot rolls gently down to the grove and children&apos;s play area with ample room for a tennis court. Fresh modern decor and turn-key ready!